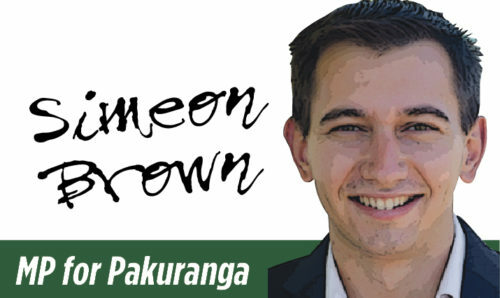 Pakuranga is an area full of hard-working Kiwis. Business owners, entrepreneurs, and people who just want to get ahead call this place home, and sadly they are the ones who stand to lose the most from a Capital Gains Tax (CGT). When the Labour/NZ First/Green government’s Tax Working Group reported back last month it included proposals for eight new taxes, with a CGT chief among them. It would target every small business owner, KiwiSaver account, family bach, lifestyle block and investment in New Zealand. This will act as a massive disincentive to save or invest or build a productive business. It would add huge complexity to New Zealand’s tax system, which is widely regarded as one of the simplest and easiest to do business within, and that’s before you add in the other seven new taxes proposed. These include an agriculture tax, a vacant residential land tax, a water tax, a fertiliser tax, an environmental footprint tax, a natural capital enhancement tax, and an extension of the waste tax. And we’ve already seen the likes of a Regional Fuel Tax applied in Auckland, further hurting the back pockets of Pakuranga residents. National knows that you cannot tax a country to prosperity. We know that instead of making it harder to do business we need to make it easier, particularly because of our nation’s size and geographical location. In our nine years of government from 2008-2017 we saw our economy recover from the Global Financial Crisis to become one of the strongest in the world, not because we taxed everyone more but we because we worked hard to do the opposite. If Kiwi businesses have more money to spend, they will hire more workers and invest more money in growth and trade – it’s not hard. National will repeal any CGT and the Regional Fuel Tax, index tax thresholds to inflation, and introduce no new taxes in our first term. Decreasing the tax burden on Kiwis is the way to grow our economy, while it’s clear this government continues to be one of tax more and spend badly. A CGT in NZ is nothing more than “rural cleansing.” People who live rurally already have a huge petrol bill (and some of us live rurally because we simply cannot afford to live in the city) So tax us and our land but not the McMansions, and this whole thing is a joke. Also to not tax Iwi – either everyone gets it or no one, and I believe NZ taxpayers already pay enough and some of us get very little in return.